For the second year running, we hit up Amaar Abdul-Nasir (@Amaar_206) from Ummah Sports to share with you 18 exciting Muslim Athletes hoping to win big in 2018. The FIFA World Cup returns in 2018 to capture the attention of serious and casual sports fans around the globe. Soccer’s premier showcase is probably the second-biggest sporting event in existence, ranking only behind another extravaganza that takes place every four years: the Summer Olympics. Also scheduled for the upcoming year — four months before the World Cup — is the 2018 Winter Olympics. While not as popular as the Summer Olympics (in part because not as many countries participate), it is still one of those special events that happen every four years. The World Cup and the Winter Olympics are two headliners on a 2018 sports calendar that will prominently feature Muslim athletes. From the NFL to the NBA, from those who run on tracks to those who drive on tracks, from martial arts to even pro wrestling, Muslim athletes will be making their mark in the upcoming year. One of the most productive yet underrated point guards in the NBA, Schroder was averaging career-highs this season in scoring (19.9 points per game), assists (6.7 apg) and steals (1.1 spg) at the time this article was published. Those numbers might be good enough to get Schroder a spot in the 2018 NBA All-Star Game in February. However, working against him is the fact that his Atlanta Hawks are one of the worst teams in the league. The Hawks won a franchise-record 60 games during the 2014-15 season, but since then, the roster has been gutted of most of its best players. 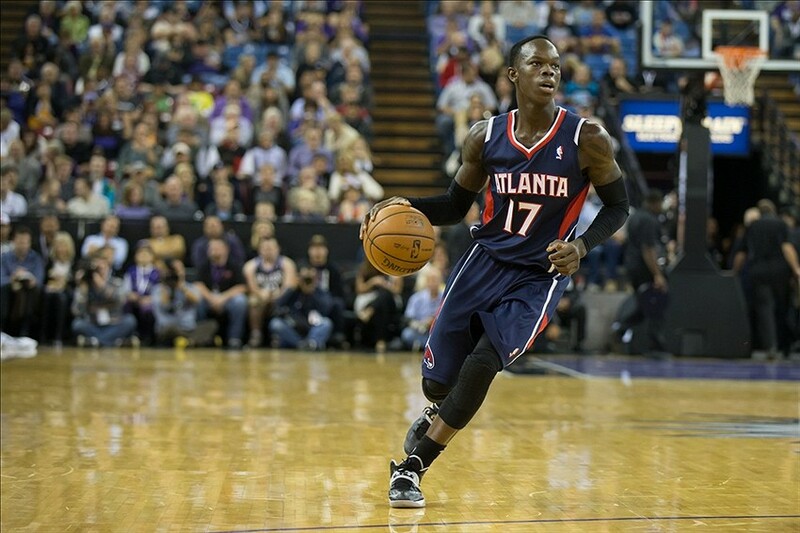 Schroder is one of the only ones left standing, and he has taken over as the face of the franchise. While Schroder probably won’t lead the Hawks to the NBA playoffs this season like he did last season, he could see more success in 2018 with the German national team. This summer there will be qualifying games for the 2019 FIBA World Cup, and in the wake of the legendary Dirk Nowitzki’s retirement from international basketball, Schroder is the top guy on his country’s squad. Last year, Schroder guided Germany to the FIBA Eurobasket quarterfinals, leading all players in the tournament with 23.7 points per game. The No. 3 contender for the GLORY heavyweight championship, Ben Saddik has a 33-7 (26 knockouts) overall professional kickboxing record. He is also No. 6 among heavyweights in the current LiverKick.com global kickboxing rankings. On Dec. 10, 2017, Ben Saddik challenged GLORY heavyweight champion Rico Verhoeven in the champ’s home country of the Netherlands. Ben Saddik lost via 5th-round TKO, but the hard-hitting, action-packed contest was widely praised as perhaps the best fight of the year in GLORY. Standing 6-foot-9 and weighing in between 260 and 270 pounds, Ben Saddik is a massive and dangerous man in the ring who is just one good head kick or one overhand right punch away from being back in the title picture. A torn hamstring caused Pogba to miss about six weeks of the 2017-18 English Premier League season, but the injury hasn’t slowed down his rise to the upper echelon of his sport. It’s hard to find any flaws in Pogba’s game; he is not just athletically dominant thanks to his size, speed and uncommon fluidity, but his skills with the ball and mastery of the mental part of the game are also elite. Plus, Pogba just has that superstar aura. He is a showman, but also a winner. It’s athletes like him that make pro sports the lucrative entertainment business that it is. Pogba is proving to be well worth the record-breaking $112 million transfer fee it took for Manchester United to acquire him from Juventus in Italy’s top league. After helping Man U in its quest for another Premier League championship in 2018, he should be suiting up for the French national team in the World Cup. Their styles of play are different, but Pogba and Kante are arguably the two best midfielders on the planet and two reasons why France has to be considered one of the favorites to win the 2018 FIFA World Cup. Pogba is a brilliant offensive playmaker; Kante is renowned for his defensive ability in the middle of the pitch. Kante was the 2017 winner of the Professional Footballers’ Association Player of the Year award and the English Premier League’s Player of the Season. The soccer magazine FourFourTwo listed him No. 7 in their annual ranking of the world’s top 100 players. When Kante helped Chelsea win the Premier League title in 2017, he became the league’s first player since 1993 to win back-to-back championships with two different clubs. Kante also helped Leicester City win the 2016 title in his first year with that club after coming over from France’s top pro league. The two-time NFL All-Pro defensive end appears to have reached the end of his road with the New York Jets. Rumors and reports persist that the team will release Wilkerson — who has been with New York since his rookie year in 2011 — after this season. Part of the reason for the split is money; Wilkerson signed a 5-year, $86 million deal last year, and the Jets are trying to cut costs. Wilkerson has also had some differences with the coaching staff. He was benched for two weeks this season amid reports that he’d been missing meetings and violating other team rules. If the Jets do end up cutting Wilkerson, it means that he will hit the NFL free-agent market in his prime. A disruptive defender who has recorded 44.5 sacks and 10 forced fumbles in his pro career, he can be a difference-maker for a team hoping to contend for a Super Bowl title. At the 2015 World Youth Championships, Naser ran a (then) personal-best 51.50 seconds in the 400-meter final, winning the gold medal. Just 17 years old at the time, she accomplished that feat in the heat and humidity of Colombia, while running in a hijab headscarf and skin-covering track suit, one day after she’d finished fasting for the month of Ramadan. Two years later, Naser competing in the 2017 IAAF World Championships. Not against youth-level athletes, but against the absolute best in the sport of track and field. Representing Bahrain, but no longer running in hijab apparel, she earned a silver medal in the 400 meters with a new personal best and national record time of 50.06 seconds. The 2018 season is what many refer to as an “off year” for track and field. There will not be a Summer Olympics or an outdoor World Championships. But Naser will still have plenty of opportunities to shine on the international circuit, most notably in the annual Diamond League series of track meets. Diamond League winners receive $50,000 and an automatic bid to the next World Championships. The first Muslim player to be chosen No. 1 overall in the NHL draft is now on his third NHL team, and he could be making another move in 2018. Yakupov was taken with the top pick by the Edmonton Oilers in 2012, and in his first year he scored 17 goals to go with 14 assists for a total of 31 points. He finished fifth in voting for the Calder Trophy, which is given to the NHL’s best rookie. Since then, however, Yakupov hasn’t lived up to the expectations usually placed on a No. 1 draft pick. Only once has he matched or exceeded his rookie-year production — posting 33 points (14 goals, 19 assists) in his third season — and he has yet to make the NHL All-Star Game. Now in his sixth season, he hasn’t even appeared in the Stanley Cup playoffs. The Oilers traded Yakupov to the St. Louis Blues in 2016, where he spent one season before signing with the Colorado Avalanche. He’ll be a free agent again this summer, and appears to be at a career crossroads. Will Yakupov find the right fit and deliver on the potential he showed as a teenager, or will he be just a regular guy in the league? FourFourTwo ranked Barkok 36th on its annual list of the world’d best teenage players. Since he won’t qualify for that honor in 2018, the next step in the promising midfielder’s development will be earning a spot on the magazine’s list of the world’s top 100 players overall. Barkok has been climbing up the ranks in Germany’s national team program as well, most recently making appearances for the under-21 squad. Odds are that he won’t be on Germany’s top-ranked senior national team for the 2018 World Cup — they are the reigning champions following their victory in 2014 — but Barkok could become a fixture on the roster in the future. Before you roll your eyes, here’s my take: Pro wrestling is as much a sport as figure skating or gymnastics. Athletic performers are judged on subjective criteria — only instead of medals, they are rewarded with championship belts and headline spots on scripted TV shows. And if sports media outlets like ESPN and the Sporting News are devoting coverage to pro wrestling, well, so can Ummah Sports. Anyway, Sami Zayn — whose real name is Rami Sebei, a Canadian citizen of Syrian descent — is one of the best in the business. After years of being a fan-favorite performer on the independent scene, he finally made it to the big stage of World Wrestling Entertainment (WWE) and is starting to become a main-event attraction. By the end of 2017, Zayn and longtime ally Kevin Owens were involved in some of WWE’s biggest story lines and were being featured in main-event programs with the likes of WWE champion A.J. Styles and part-owner Shane McMahon. Zayn appears headed for more success in 2018, likely with a prominent role on the WrestleMania card and perhaps winning his first championship in WWE. Outside of the ring, Zayn is active and outspoken on political and social issues impacting Muslims around the world. This past summer, he launched the #SamiForSyria social media campaign, a collaboration with the Syrian American Medical Society to raise money to provide medical assistance for people in Syria who have been displaced by the war. Considering that most college basketball stars don’t spend any more time in school than they absolutely have to before moving on to the NBA, it was surprising when Fall decided to stay at the University of Central Florida for his junior season when he could have entered the 2017 NBA Draft. While the 13 points, eight rebounds and two blocked shots per game that Fall averages is impressive, and his 78-percent shooting from the field is even more impressive, the highlight of his scouting report is that Fall stands 7 feet, 6 inches tall. Of course, height isn’t the be-all, end-all in the NBA. Some giants like Yao Ming (7-foot-6) and Ralph Sampson (7-foot-4) have put together Hall of Fame careers, but others like Pavel Podkolzin (7-foot-5) and Sim Bhullar (7-foot-5) were little more than sideshow attractions who never made a mark in the league. Fall is quick and coordinated for his size, and has shown improvement each year that he’s been in college. Last season he was named the American Athletic Conference’s Defensive Player of the Year, and this season he’s shown growth as a scorer and shooter. A native of Senegal, Fall has said he wants to be an engineer after his basketball career is over, so he might be inclined to stay in college and complete his degree before going pro. But whether it’s in 2018 or 2019, whenever it happens, I don’t see the NBA letting him get away without giving him a chance to show what he can do at the highest level. Part ambassador, part performer, all competitor. Fatima Al Ali built a social media following (@FatimaAl_Ali) by posting videos of herself performing hockey tricks, but don’t mistake her for a circus act. She’s a legit player who is the captain of the United Arab Emirates women’s national hockey team. In the past year, Al Ali has been all over the world acting as an ambassador for the sport, including a visit to an NHL game as a guest of the Washington Capitals that was part of the “Hockey is for Everyone” campaign. During her trip to D.C., she also skated with the Capitals in a practice session and met with superstar Alex Ovechkin. The UAE women’s national team won’t be playing in the 2018 Winter Olympics, but Al Ali will continue to promote the game and gain popularity in the upcoming year. Sanu is like the Scottie Pippen of NFL wide receivers; he is arguably the best sidekick in the game. In his first four pro seasons with the Cincinnati Bengals, Sanu was the No. 2 receiver lining up alongside star A.J. Green. Now in his second season with the Atlanta Falcons, he is thriving as the No. 2 receiver alongside star Julio Jones. At the time this article was published, Sanu and the Falcons were still trying to secure a playoff berth. If they make it, the next step will be trying to earn a return trip to the Super Bowl. To the U.S. sports audience, Kanter is a funny and thoughtful character on social media who entertains his followers with everything from randomly challenging LeBron James to riffing back and forth with his “Stache Bro” Steven Adams, his former teammate with the NBA’s Oklahoma City Thunder. In his native Turkey, however, Kanter’s social media activity is a source of controversy that could actually land him in prison. In the past year, Turkish authorities have issued a warrant for Kanter’s arrest, and the 6-foot-11 center could face up to four years in jail for his criticism of Turkish president Recep Tayyip Erdogan on Twitter. Meanwhile, Kanter is flourishing in his first season with the New York Knicks. After coming off the bench for the Thunder, Kanter is New York’s starting center and averaging 13.8 points and 10.5 rebounds per game at the time this was published. In the Knicks’ Christmas Day loss to the Philadelphia 76ers, Kanter had the best game of his career when he posted 31 points and 22 rebounds. Not long ago, Nurmagomedov was on the verge of earning a title shot against UFC lightweight champion and crossover superstar Conor McGregor. He was scheduled to face Tony Ferguson in March 2017 for the interim lightweight title — McGregor had stepped aside from UFC last year while preparing for his mega-fight with boxing icon Floyd Mayweather Jr. — but the fight was canceled when Nurmagomedov was unable to compete due to problems trying to cut weight. Nurmagomedov is scheduled to fight Edson Barboza on Dec. 30 at the UFC 219 pay-per-view. If he wins, “The Eagle” should remain in the picture for a title shot; he is currently ranked No. 2 in his weight class and goes into the pay-per-view undefeated at 24-0. The winner of the 2017 IAAF Male Athlete of the Year — essentially the MVP of track and field — went undefeated in 11 international competitions in his event, the high jump. That spotless record included a gold medal at the World Championships in London, where he cleared the bar at 2.35 meters (7 feet, 8.5 inches). At another meet in Birmingham, England, Barshim jumped a world’s best 2.40 meters (7 feet, 10.4 inches). Then he did it again at the Eberstadt High Jump meet in Germany. In total, nine of the best 11 outdoor jumps in the world in 2017 were made by Barshim. In 2018, Barshim will be going for a second straight Diamond League series victory. He could also vie for his second IAAF World Indoor Championships gold medal; he won gold in 2014 but finished in fourth place and just short of the medal stand in 2014. Ozil helped Germany win the FIFA World Cup in 2014, and in 2018 he’ll be helping them attempt to become the first nation to repeat as champions since Brazil won in 1958 and 1962. In his day job as a midfielder for Arsenal in the English Premier League, Ozil is regarded as one of the best passers in the world. He has set team and league records for assists. His move in 2013 from Real Madrid in Spain’s top league to Arsenal came with a reported $44 million transfer fee, making Ozil the most expensive German soccer player of all-time. Off the field, Ozil is lauded for his philanthropy. After the 2014 World Cup in Brazil, he donated all of his championship winnings to pay for the surgeries of 23 children at a hospital in Brazil. The following year, he returned to Brazil to pay for the surgeries of 11 more children in need. On Dec. 2, 2017, Sadam Ali put himself on the mainstream boxing fan’s radar when he scored a unanimous decision victory over Miguel Cotto in the 37-year-old seven-time world champion’s final fight. Ali entered the ring as an underdog, but simply out-boxed Cotto to improve his professional record to 26-1 (14 KOs) and claim the WBO light middleweight title. Nicknamed “World Kid,” Ali was born in New York to parents that emigrated from Yemen. He says his childhood boxing hero was another Muslim champion, Naseem Hamed, who won world titles at featerweight in the 1990s and early-2000s. Ali has fought most of his career at welterweight (147-pound limit) but moved up to junior/light middleweight (154-pound limit) for the Cotto fight. He is now ranked by The Ring magazine and ESPN as the No. 4 junior/light middleweight in the world. Many track fans and experts consider the 400-meter hurdles to be the single most difficult single in the sport. To succeed in that race, competitors need sprinter’s speed, distance runner’s endurance, and the precision and game-planning of a pole vaulter. Muhammad is arguably the best in the world in the women’s 400-meter hurdles. Track & Field News ranked her No. 1 in the event for 2016, when she won the Olympic gold medal. In 2017, Muhammad earned a silver medal at the IAAF World Championships and ran the fastest time in the world (52.64 seconds) at the U.S. championships. Without an Olympics or outdoor World Championships scheduled in 2018, Muhammad can set her sights on winning a third straight U.S. championship and perhaps making a run at the 400-meter hurdles world record of 52.34 seconds, which was set by Russia’s Yuliya Pechonkina in 2003. A special but sombre mention goes out to our brother Abdelhak Nouri who sadly suffered a cardiac arrhythmia attack while playing for his boyhood club Ajax, resulting in severe brain damage. Abdelhak was a dynamic and exciting young player with a great future ahead of him. We pray that he is able to recover as well as he can, and that his family are able to get through this difficult time.